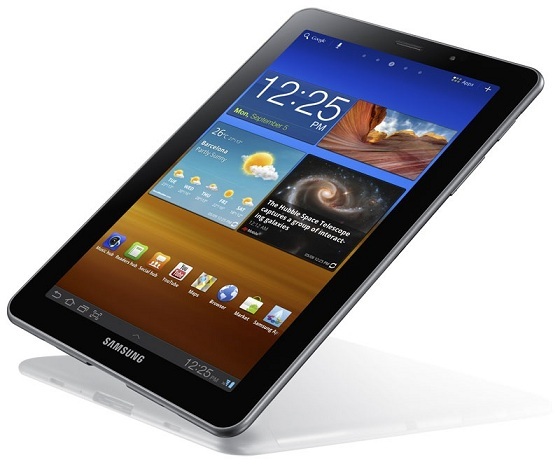 Consumers can’t wait to get their hands on the new Samsung Galaxy Tab 7.7, which is the first Samsung Super AMOLED Plus tablet. But some might have to work some overtime to afford one. Sammy Hub reports that the Galaxy Tab 7.7 will be selling in Denmark for 5,000 Danish krone ($946.11) and for 6,000 Swedish krona in Sweden. In Finland it will be even more expensive at 699 Euros ($985.10). It is supposed to be released in Europe before the end of the year. For the U.S. market the Galaxy Tab 7.7, which created quite a hype at IFA 2011 in Berlin, might be too expensive to be competitive, as Samsung hasn’t yet announced any info on its price. Despite the hefty price it seems a lot of people want to get their hands on the first Super AMOLED Plus screen that Samsung has just introduced at the IFA 2011. Read below to get a feel for all the great hardware Samsung packs.